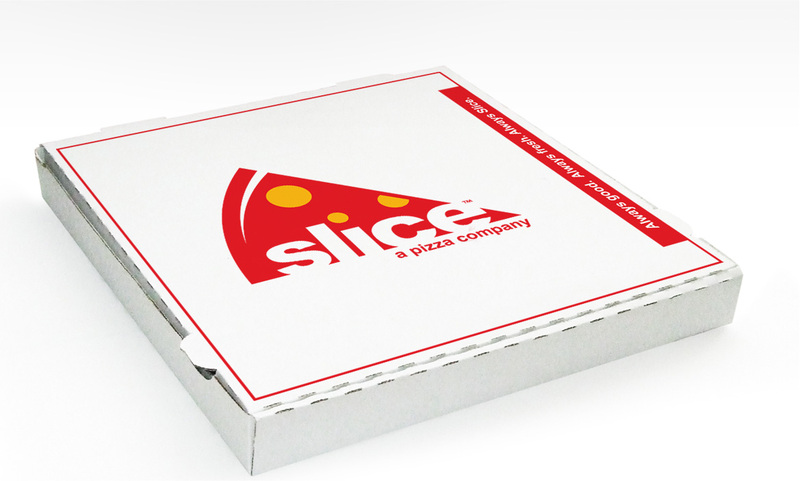 Slice| Build it yourself, freshly baked pizzas using locally sourced, deluxe ingredients. 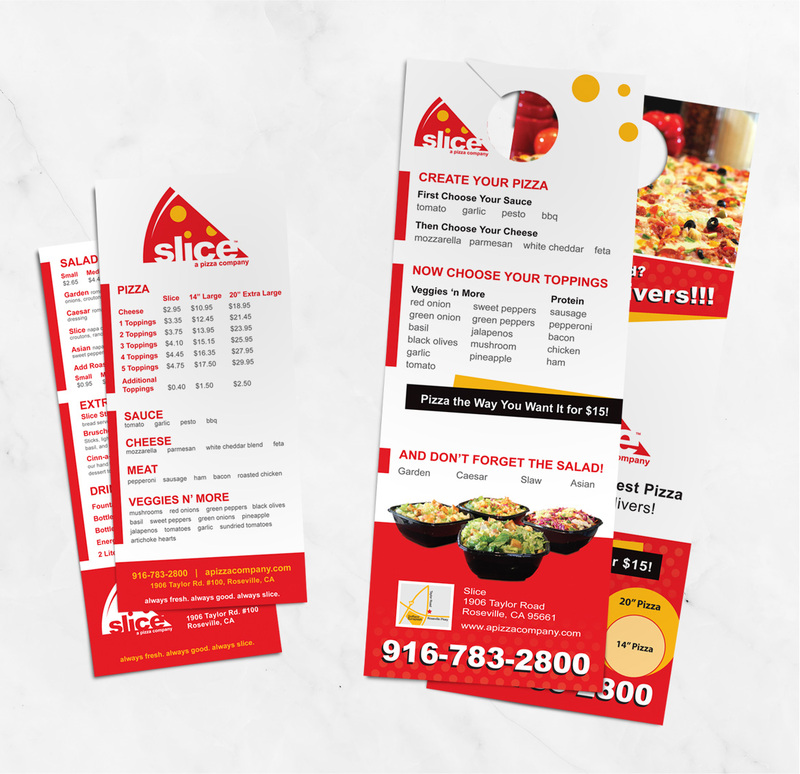 Slice, a hot new build it yourself and go right to the oven pizzeria, makes hometown, hand made, good-value, freshly baked pizzas using locally sourced, deluxe ingredients. We were approached by a Northern California serial entrepreneur to help fulfill his dream of being the first pizzeria of its kind. 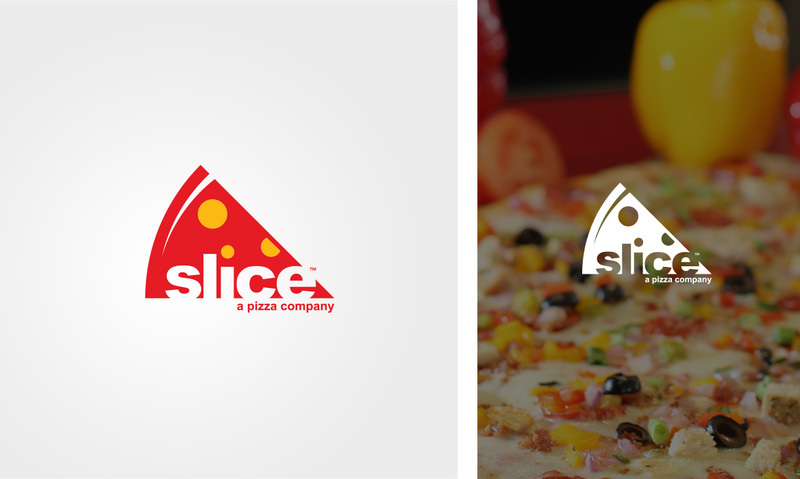 Slice approached dystrick to develop a new visual identity that would communicate their core values within a more ‘polished’ environment. 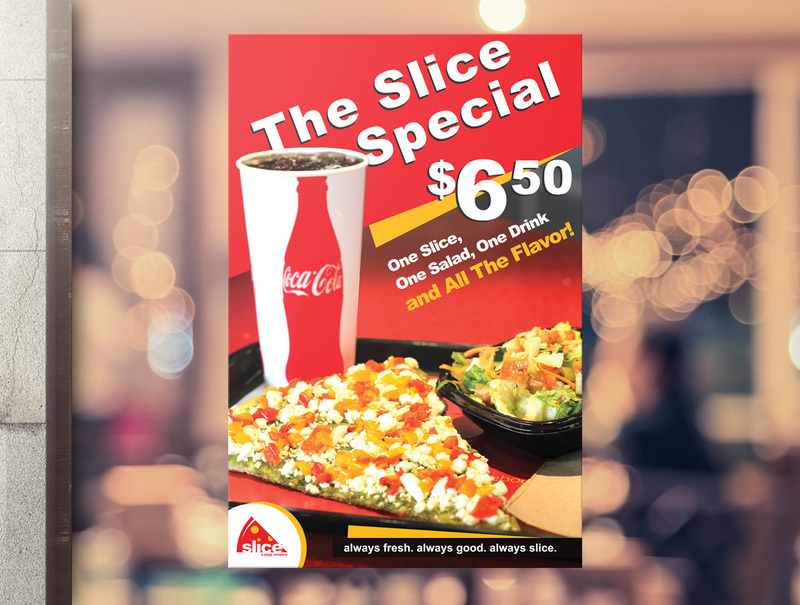 We set out to create something iconic, using a custom typeface, as well as graphics and photography to communicate the brand story via menus, printed materials, signage and wall-graphics. Please contact us for more info. Naming & logo design with multiple variations for different types of usage. 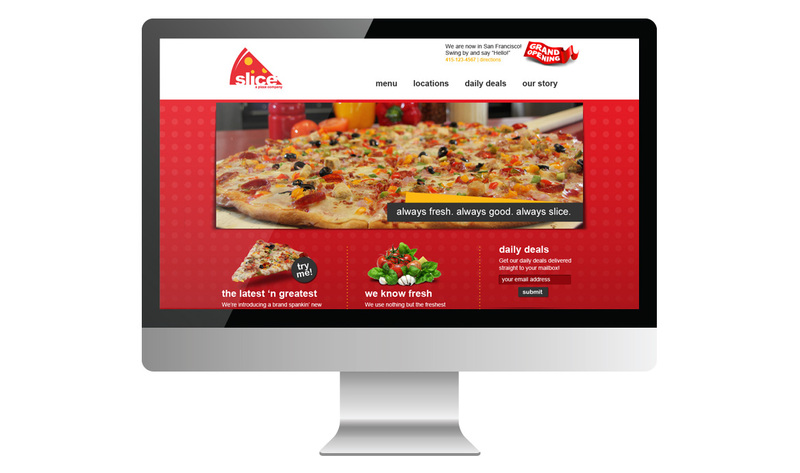 A super user-friendly and informative website for a new type of pizza company. 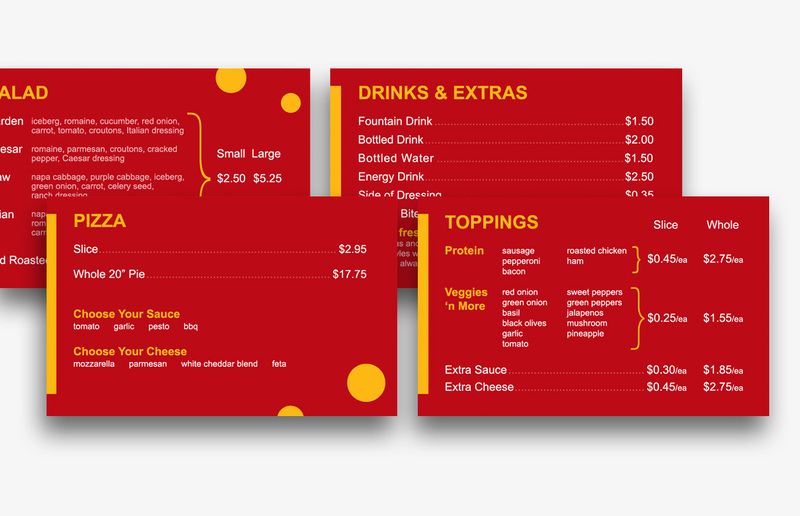 Signage and menu designs for in-store usage. 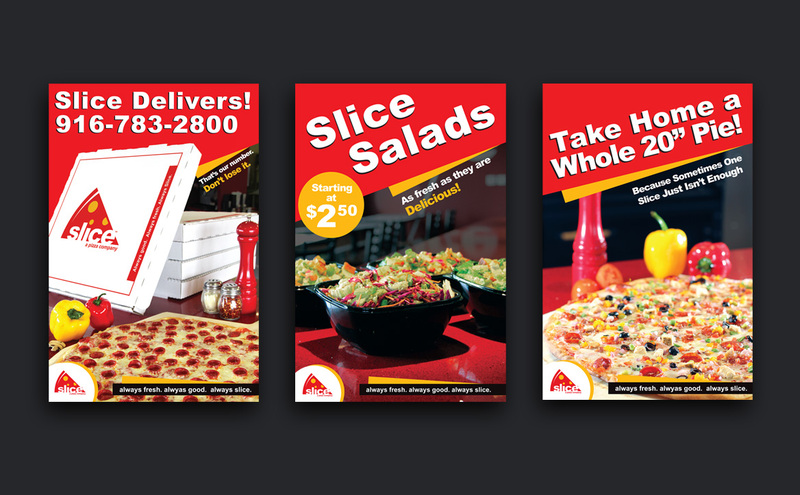 Packaging design & layout of pizza boxes and to-go packaging.